Trio Tots, HSR Layout is collaborating with Zzungry, a Bangalore based food startup, to bring the whole family into the kitchen! Zzungry curates food from the 29 states of our country and delivers across many locations in the city. Let us celebrate the benefits of a healthy Indian diet. Join Chef Rajeev Bhadani as he reveals the magic of food from all the states of India. Brand New 10 Units Independent Building for sale in HSR Layout, BDA Plot with Ground +4 Floors having 2BHK on Ground Floor, 1BHK+2BHK on 1st,2nd,3rd and 4th Floor and a 1BHK on 5th Floor along with Open Terrace. 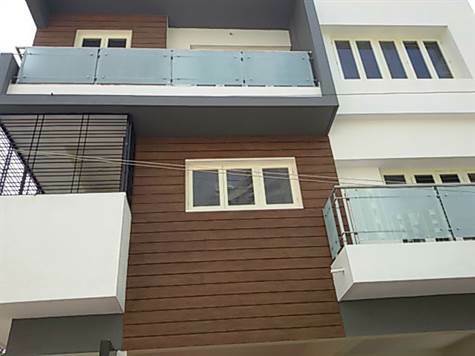 North Facing Property with 100% Vaastu, 10 Individual Flats in the Building getting rent of Rs.2 Lakhs Per Month, Excellent choice of Investors for rental Income. Inside the Houses it comes with Granite Flooring, Teak Wood, Complete Interiors Done. Priced at Rs.399 Lakhs Negotiable. On the Eve of Childrens Day there will be an interactive Story telling session at Discover Kids, HSR Layout, on 12th November 2016, between 11 AM to 12.30 Noon, the session will be conducted by Trio Tots Pre-School, The Participation is Free for all. Have you been thinking about re-starting your career? EDUMOB.IN brings to you a chance to learn from the best in the industry. Whether the career you seek is full time, part time or as a freelancer, here is an opportunity to get started. 3:00PM to 4:00PM – “Cracking Demons,” an inspirational talk on the perils and pitfalls, and the untold truths of women entrepreneurship by Smitha Murthy, Director of online travel-start up, Trippin Traveller. Event fees: Rs 150/-. Tickets available on our facebook page. Contact at rajeev@edumob.in for discounts. 3. Green View Medical Center. 6. MK Ahmed Super Market. Welcome to HSR Layout-The Best Place to live in Bengaluru!